Climate financing across the globe has hit record high to about $650 billion dollars in the last two years but the UN Climate chief, Christiana Figureres says it is not enough to meet the growing financial needs to tackle global warming. A new financial assessment report presented to at the UN Climate Change Conference in Lima, Peru puts the lower range of global total climate flows at $340 billion a year for the period between 2011-2012. The assessment compiled the UNFCCC standing committee on finance is the first to put together information and data on financial flows supporting emission reductions and adaptation within the countries and through international support. Flows from dedicated multilateral climate funds –including UNFCCC funds represented $0.6 billion- which was the smallest share contributed during the period. The flow according to the assessment does not figure pledges for the Green Climate Fund amount to nearly$10 billion. She however noted that the flows were an indication of optimism that climate financing should be in the trillions of dollars if the world is to make the transformation it needs in the timely fashion. “We will get to the trillions only if we leverage private sector and private capital flows” said Figueres while addressing journalists. She said understanding how much is flowing from private and public sources , how much is leveraging further investments and how much is getting to vulnerable communities including for adaptation is vital for ensuring adequate financing for global transformation. 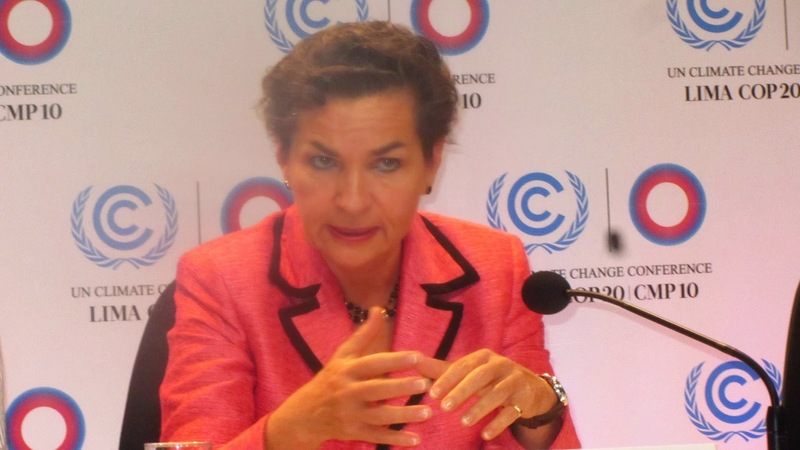 Commenting on the source of financing, Figueres said it was heartening to not that the money was coming from multiple sources through different channels all aimed at address climate change. “Because it is not realistic that all the climate finance we need will come from one particular source or one channel” she said. She hoped that financing of climate change permeates the global financial system and becomes a global component of the global finance. One negative part of the assessment is that most of the money was flowing towards mitigation interventions and less toward adaptation. Also the assessment shows that Africa and small Island states were also receiving less share of the adaptation financing. Seyini Nafo, a delegate from Mali, also a member of the Standing Committee of the UNFFCC in the presentation indicated that only 5 percent of the global financing was getting to adaptation with whooping 95 percent targeted towards mitigation. Figueres noted that “That there is no doubt that adaptation finance needs to increase. Because that is the urgency among most developing countries to cover their adaptation cost because many developing countries are putting their own money in adaptation financing because they don’t have any other source and they cannot wait for international climate flows” she noted.